Welcome to Debut Diaries—One Year On, where SCBWI-BI members share their highs (hopefully lots of these) and lows (hopefully fewer of these) of the post-publication year. 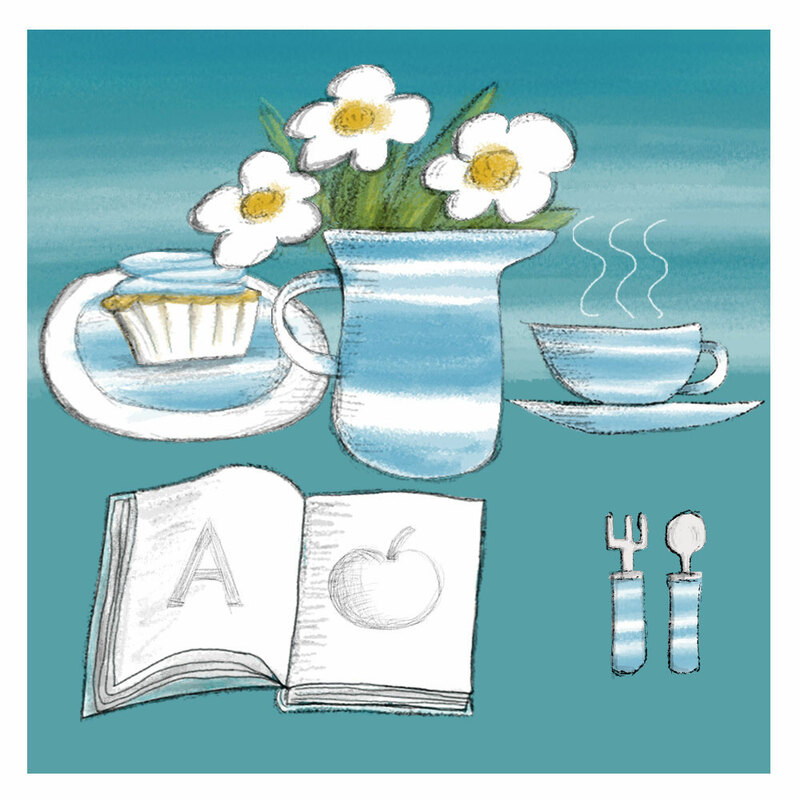 This month, Tizzie Frankish welcomes Cath Jones, author of Bonkers About Beetroot, to join her for afternoon tea. After a whirlwind post-debut year, it’s a chance for Cath to put her feet up and share her insights over a cuppa and some carefully chosen sweet treats, which reflect the mood of the months following life after debut. Has the reality lived up to the dreams? What do you wish you’d known before the first thrills of your book birthday became a distant memory? And are launch parties and school visits really that terrifying? If you’re having afternoon tea with me, there’ll be plenty of crumbs and the real danger of getting chocolate fingerprints on some lovely children’s books. These will come from my debut year biscuits of choice, Viennese Whirls and Chocolate Fingers. A prize to anyone who can eat a Viennese Whirl without creating a few crumbs! My debut picture book, Bonkers About Beetroot, was accepted for publication in the summer of 2016 and published late October 2017. It had been quite a long journey but I can’t complain as I made so many wonderful friends along the way. Between acceptance and publication I also had ten educational readers accepted and published by Ransom and Maverick. Looking back over the twelve months since the publication of Bonkers About Beetroot, the year divides quite neatly in two in biscuit terms. The first half of the year post-Bonkers is Viennese Whirls and the second half is Chocolate Fingers. That’s because the months following publication were a whirl of activity. 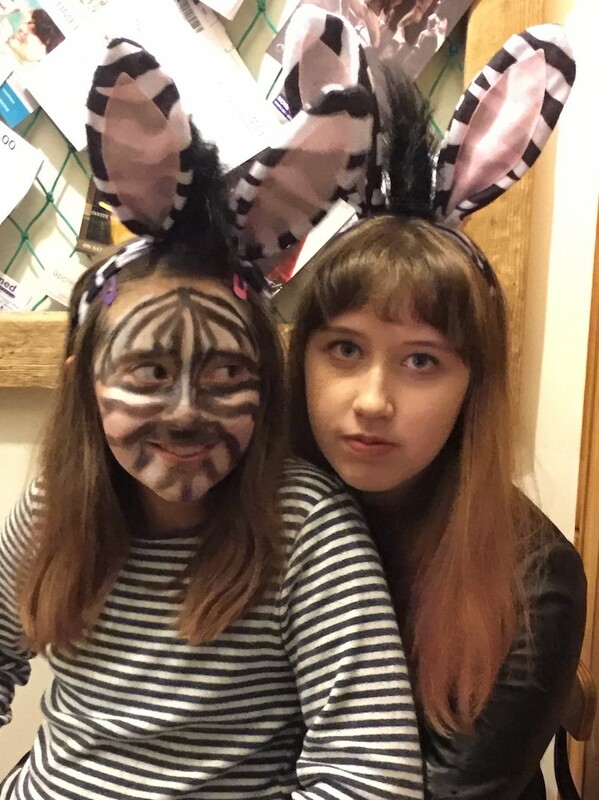 It was really a bit BONKERS! 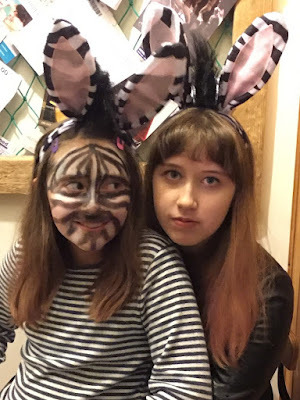 I threw myself with great enthusiasm into promotion, beginning with an exciting launch party and followed by events at bookshops, schools, pop-up shops and festivals. A local shop even let me take over their window for a couple of months. I also wrote posts for various blogs and magazines. Looking back, what stands out is the support of friends and my ever-patient partner. Everyone rallied round to make the launch party amazing. Bunting was made by Maddie (I did try to learn to sew), the daughter of a fellow SCBWI member, Rachel. The most awesome cake was created by the mum of another friend, my partner surprised me with fireworks and so many people embraced Bonkers-themed dressing up. 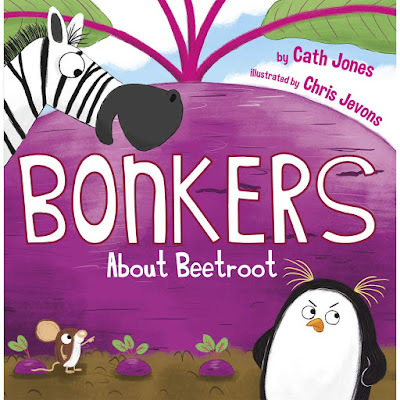 The year ended with Bonkers About Beetroot being voted Maverick Picture Book of the Year at their Christmas party! It had been a non-stop couple of months. All of this was great fun but very time-consuming. There was not much time left for writing new stories. It took a few months for me to realise that I needed to adjust the balance in my new author life. Though I loved sharing my stories in person with children, I needed to allow enough time to create new stories too. So began phase two of my Bonkers year, the chocolate fingers phase. Chocolate fingers sum up the last six months perfectly as I discovered that it helps if an author has a finger in many pies. I love creating stories for children of all ages. Making sure they reach readers means finding more than one or two publishers to work with, and not necessarily in traditional book format, either. As the post-Bonkers publication whirl calmed, I settled back happily into inventing new stories. I was pleased to have the opportunity to submit story ideas to Franklin Watts for their educational readers. They’ve accepted a couple so far. And Maverick was looking for more educational readers too. 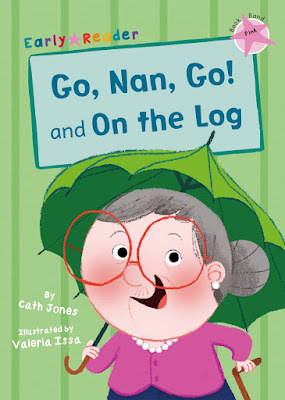 Go Nan Go was published a few months ago, and The Magic Helmet: A Viking Adventure is coming out in November. I also developed a good relationship with an online schools resources website, which has taken three stories so far, including a retelling of a traditional folk tale for KS1 readers, junior fiction and middle-grade stories. Every time I finish writing a story, I get such a great feeling of satisfaction knowing that somewhere someone might enjoy it. 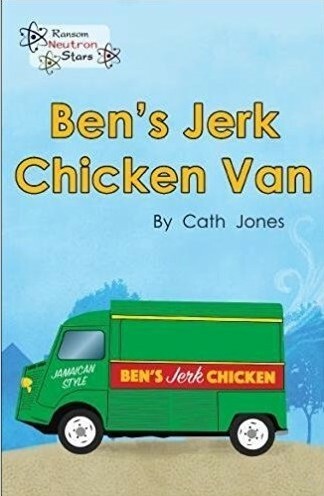 I have so many special memories from my Bonkers year, including getting a tweet from a prison tutor about the positive impact one of my stories (Ben’s Jerk Chicken) had on an inmate, happy messages from parents after bookshop visits and seeing so many people laugh out loud when they read my stories. Bonkers About Beetroot has also made me new friends. Jenny, a local yarn bomber, took a liking to my book and persuaded the whole yarn bombing group to create most of the Bonkers cast in wool and LOTS and LOTS of crocheted poo. The kids love holding a piece of poo while I read about a Bonkers manure heap! I’m not sure what the coming years hold for me as an author but it still feels pretty exciting. I hope that I can continue to write early readers (which I love) and perhaps work with an even greater variety of publishers. I’d also like to focus on writing my middle-grade novel: an LGBTQ detective story. One thing is for sure, I still love letting my imagination come up with crazy ideas, so I’m going to keep on writing, come what may. As a librarian, teacher, editor, community gardener (vegetable story-time anyone?) 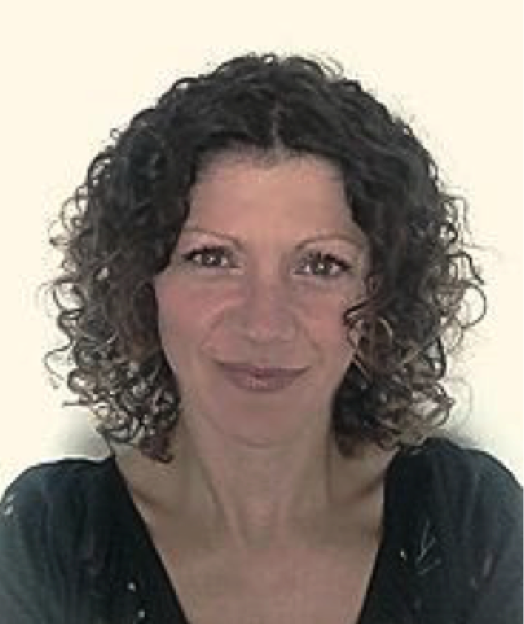 and now a literacy tutor, Cath Jones aims to inspire a love of books in everyone. As a child, her fascination with stories was encouraged by a wonderful English teacher (Miss Storey! ), local librarians and an amazing children’s bookshop (The Lion and the Unicorn) where authors met their fans. Cath now loves sharing her own stories with children of all ages. She lives in Kent with her partner and a high-maintenance cat. When not writing, she grows mutant vegetables on a windy allotment overlooking the sea.